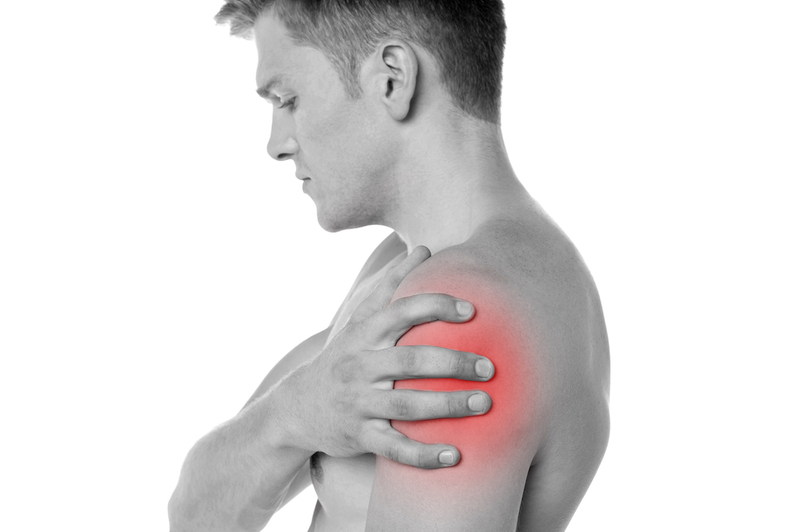 Myositis is a condition where the muscles swell, causing weakness and often pain. Myositis can be caused by medications, medical conditions like cancer, etc., but in the majority of cases, the cause is unknown. Before discussing rating options, it should be noted that in addition to general myositis, there are a few specific types of myositis that present with special symptoms. - Polymyositis affects numerous muscles all over the body, and in its severe form, can lead to other serious condition such as difficulty swallowing, lung disease, and heart disease. - Dermatomyositis is similar to polymyositis but it also includes the skin, causing rashes along with the muscle weakness and other symptoms. - Inclusion-body myositis is very similar to polymyositis. There are, of course, differences, but they are pretty technical and aren’t relevant to ratings, so we won’t get into the medical jargon here. The VASRD code for Myositis is code 5021. For most cases of myositis, regardless of type, this will be the main code assigned. Code 5021 is rated on limited motion of the affected joints. So if the condition causes limited motion of the elbow and knee, then two ratings will be given: one for limited motion of the elbow, and one for limited motion of the knee. Now as mentioned above, myositis can cause many other symptoms in addition to limited motion, like skin rashes and heart disease. In cases where there are symptoms other than limited motion that cause significant impairment, they can be rated separately. For example, let’s say Shawn has dermatomyositis. His symptoms include rashes around his eyes and on his neck, weakness in the shoulders that limits his ability to raise his arms, and supraventricular arrhythmia (a heart condition). Of these symptoms, only the shoulders will be rated under code 5021 (the code for myositis) since those are the only joints that have limited motion. As both shoulders are affected, he will then receive two ratings under code 5201 for limited motion of the shoulder. Next, Shawn’s rashes will be rated as psoriasis under code 7816. And finally, his arrhythmia will be rated under code 7010 for supraventricular arrhythmia. The hyphenated codes are used to define the condition properly. The first four digits defines the condition as myositis, and the second indicates how it is rated (limited motion of the shoulder, psoriasis, etc.). See Analogous Ratings for more info. So ultimately when rating myositis, additional ratings can be given for each separate symptom caused by any type of myositis as long as none of the symptoms are rated more than once (the Pyramiding Principle). DISPLASTIC HIP WITH, HIP SWELLING W/PAIN, KNEE SWELLING W/PAIN, BACK PAIN, ANKLE SWELLING W/PAIN, CANT SIT FOR LONG TIME OR STAND FOR LONG TIME. WHAT WILL THIS DISPLASTIC HIP BE RATED UNDER. If it is service-aggravated, then it will be rated on limited motion. Inclusion Body Myositis (IBM) is a condition that causes muscles to become thin and weak. Treatment for Inclusion Body Myositis is to boost muscle growth. One way to do this is to interfere with the mechanisms naturally present in the muscle that put the brakes on muscle growth so that muscles remain within the normal size range. I served in the military, from 1980-1986,4 years active /inactive reserve,while active I was working with a patient and was exposed ,to TB,while getting tested,I was given an overdose of the vaccine,I was in Germany at the time,and was never treated,2014 I was diagnosed with dermatomyositis, I could no longer work started receiving SSD,wasn't able to get VA disability,because they said they couldn't prove it was military related,my infection disease doctor wants to start me on TB medication, which is too risky for mewith my compromised immune system,my Rheumatologist and dermatologist said I have a severe case,I read where there was cases where people have gotten dermatomyositis after receiving tb vaccine. I would appreciate any information you can provide. Unfortunately, there is not much medical proof that the TB vaccine can cause dermatomyositis. There are some articles suggesting a connection, but no official test results proving one. Because of this, the VA is unlikely to grant service-connection. They are required by law to have definitive proof, and the limited articles out there are not definitive. There are a few lawyers that deal with cases of dermatomyositis caused by vaccines, but they aren't specific to veterans. May be worth the time to talk to them about your case, however. They may have access to additional evidence not readily available to the public.